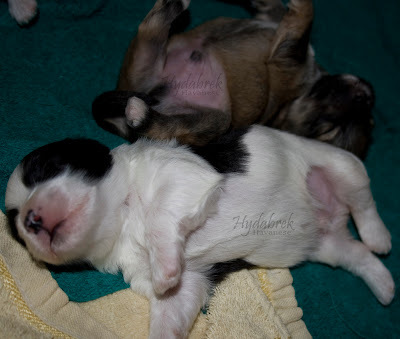 Pretty In Pink Dogs: Havanese "Belly Boys"
Oh my goodness! They are just too cute for themselves! They must be getting some coordinated muscle movements, are they, seeing as they are rolling over and on top of each other? It's so great to see these photos. Keep 'em coming ... as if you have nothing else to do, right? !